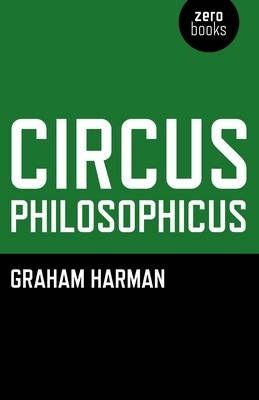 “Does a philosopher have a life? Can you write a philosopher’s biography?” So opens Benoît Peeters’s book on Jacques Derrida, a figure about whom a biographer has particular reason to be circumspect, not least because of all the ways in which Derrida’s work problematizes our notions of the relationship between writing and experience, or between language and being. Peeters answers his own questions in the affirmative by proceeding to give us almost six hundred pages on Derrida’s journey from Algerian childhood as the son of a travelling salesman to his death in Paris as perhaps the most famous (and the most controversial) thinker of the past fifty years. He also, however, finds solace in his task from some of Derrida’s own comments on the importance of “put[ting] philosophers’ biographies back in the picture” (qtd. 1). 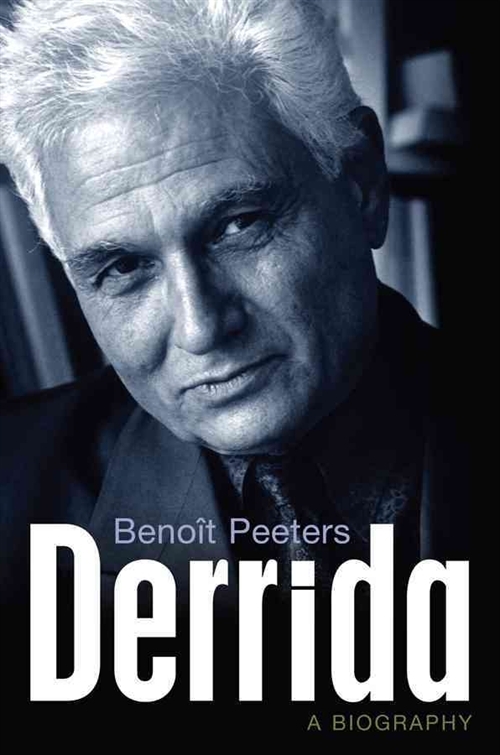 Indeed, this is probably as close to an “authorized” biography of Derrida as we are likely to get: Peeters thanks Derrida’s widow, Marguerite, for “placing her confidence” in him, and has talked to many members of the philosopher’s family as well as to schoolfriends, colleagues, collaborators, and others who knew him well. So while this is far from being a “Derridean” biography, for Peeters argues that “mimicry, in this respect as in many others, does not seem the best way of serving him today” (6), and while it is not exactly devoid of criticism, it is undoubtedly a work that aims to “serve” Derrida. So then the question becomes: how well does this biography serve him? Derrida: A Biography does little to explain very well why its subject was important. It is particularly uneven when it comes to explicating the key points of his thought, or their contribution to the philosophical tradition. 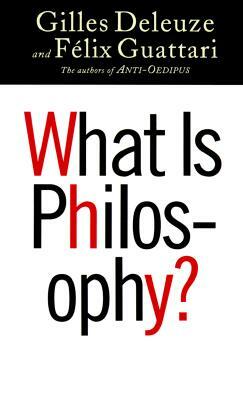 Peeters avers that he “will not be seeking to provide an introduction to the philosophy of Jacques Derrida” (3). But absent that, and given that (frankly) the life of a philosopher is not all that interesting in itself, what we are left with are what can otherwise seem to be rather petty struggles for advancement within the academic institution and/or rather excessive, even fawning, expressions of loyalty and partisanship. We are left, in short, with friendships and enmities whose basis or whose stakes are almost impossible to determine or judge. Derrida comes to seem important simply because others thought that he was–although it also becomes clear that there is nobody who has a higher regard for his work than Derrida himself. In one of his few critical moments, Peeters notes the consensus, even among the man’s friends, about his narcissism, adding the peculiar comment that “Derrida practiced it to excess, thereby questioning the boundaries of narcissism and turning it into a philosophical gesture” (421). But what were the terms of this gesture? On what grounds, if any, was it made? On this Peeters is, almost stubbornly, silent. Meanwhile, about the life itself: I have said that it was not all that interesting, but it was not completely uneventful, either. This is a tale of quite dramatic social mobility in the context of one of the more violent episodes of twentieth-century decolonization. It is also the story of a quite unconventional family life, including an illegitimate son whom Derrida officially recognized but essentially never met, and who was adopted by a man who went on to be Prime Minister of France. Yet, perhaps because of the semi-authorized nature of this biography, Peeters shows no great desire to probe: he indulges in neither gossip nor speculation, instead allowing Derrida’s own, often exceedingly elliptical, words to stand almost on their own. For instance, on paternity: “The father is someone who recognizes his child; the mother recognizes her child. And not only in a legal sense. The obscurity of the question lies entirely in this ‘experience’ that is so hastily called ‘recognition’” (qtd. 357). In similar fashion, Peeters repeatedly calls attention to Derrida’s profound sense of anxiety, and though this was presumably in part the other face of the too-obvious narcissism, he never really describes or stops to ponder these anxieties at any length. 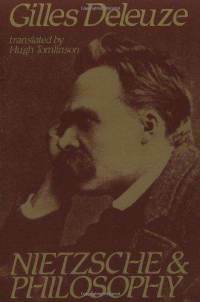 The biography thus falls between several stools: it is far from being a rigorous account of its subject’s intellectual development and theoretical work; but it also stops short of either titillation on the one hand or anything resembling an analysis of the psyche on the other. If anything, this is then a political biography, in the rather limited sense (drawn from Carl Schmitt) of the political as founded on the distinction between friend and enemy. This is true as much of the academic politics (the blocked career advancements; the quarrels and reconciliations with colleagues and competitors) as of the increasingly evident commitments to political causes such as human rights or anti-racism. 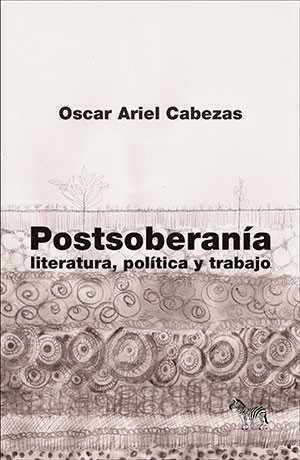 Perhaps particularly for Parisian intellectuals, these two forms of the political go almost hand in glove: Derrida is repeatedly moving between publishers or journals, for instance, based on his assessment of their political line, or theirs of his. Moreover, the same themes (as Peeters puts it, “justice, witness, hospitality, forgiveness, lying” ) loom large in both arenas. And though he often portrayed himself (sometimes justifiably) as a victim, especially of the official French university system, it becomes clear that Derrida himself was fully invested in the complex maneuvers that are often described in alarmingly martial manner. Here, for instance, is Jean-Luc Nancy’s take on Derrida in the USA: “He always saw battles to be fought, fortresses to be taken and alliances to be made or consolidated. [. . .] It was important for him to maintain links with certain potential allies, even if they weren’t intellectually all of the first order. He knew he needed a lot of people to pass on the torch for deconstruction” (459-60). Nancy is a friend–one of Derrida’s oldest and most loyal–but his is a surprisingly cynical account of deconstruction’s transatlantic success. True, Nancy may equally be aiming a swipe at America and Americans, but for one Frenchman to call another “a kind of Prussian general” (qtd. 459) is hardly a compliment at the best of times. Above all, the impression we get from this biography is of Derrida’s remarkable energy. In the first place, the man was a writing machine, producing endless books, essays, and talks. 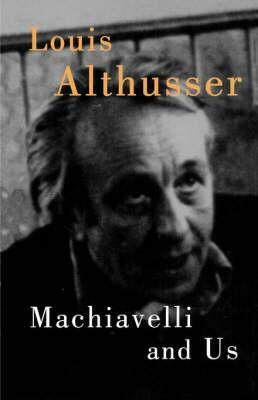 And the talks themselves were increasingly of almost frightening length: two hours, three hours, or more; of a paper in July 1997, he himself reports “I inflicted a twelve-hour lecture on them!” (qtd. 484). At the same time, he was perpetually teaching (the concept of a sabbatical seems to have been foreign to him), not just in his home institution but also at up to three others each year. He jetted in and out of conferences and speaking engagements around the globe. And apparently he was still available to students and others for casual conversation, as well as having time to keep up a prolix personal correspondence and running up what must have been a formidable international phone bill. No wonder Peeters should make the otherwise odd observation that “he had the heart rate of a sports cyclist or marathon runner, less than fifty beats per minute” (420). Again, however, I wonder how much this truly “serves” Derrida. After all, one of the criticisms of deconstruction is the way in which, among Derrida’s followers if not for the man himself, it too soon became the almost robotic application of a voracious new set of techniques for reading. Or to put this another way: if Peeters’s aim is to humanize Jacques Derrida, I’m not sure he’s done such a good job. But perhaps, on the contrary, the problem here is that Peeters hasn’t gone far enough in giving us a truly inhuman or posthuman Derrida. He provides glimpses of the machine, without really showing us its workings. For it may be that a philosopher doesn’t have a life so much as he or she puts together (and becomes part of) a machinic apparatus. What we’re really waiting for, then, is less a biography than a machinography of an always excessive system, which encompassed but went beyond the proper names of (to take Peeters’s section titles) “Jackie,” “Derrida,” and “Jacques Derrida,” to recast and reformulate many of the fundamental propositions of academic writing and conduct, beyond the pseudo-hegemonic (and frankly banal) campaigns of alliance and filiation to which this book too often reduces its subject.